Absolute water clarity that is completely chlorine free, odourless and free of taste. Your pool’s waste water can be used to irrigate your lawn. Plus the Multicyclone reduces water usage associated with filter maintenance. 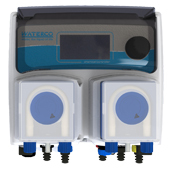 Fully automated sanitisation & pH control for new or existing salt or chlorinated pools. Hydroxypure is fantastic news for those looking for a healthy alternative to chlorine, that is soft and gentle to the skin. 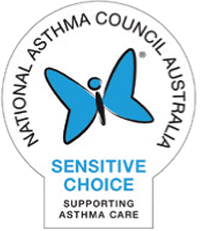 Hydroxypure is the only swimming pool water treatment system endorsed by the National Asthma Council of Australia and approved by its Sensitive Choice® program. Developed by Waterco, a global swimming pool and water treatment equipment manufacturer, the Hydroxypure system is for those looking for a non chlorine pool. This is an advanced and efficient water filtration system that can be installed in your pool without any hassle. Easy to install and maintain, the Hydroxypure system promotes fully automated sanitization of pool water. It is reliable and safe to use. And that’s not all. 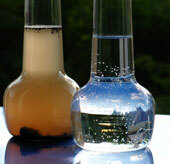 Your pool’s wastewater can be used to irrigate your lawn. Alongside the Multicyclone system, Hydroxypure reduces water usage associated with filter maintenance. In other words, the Hydroxypure system protects your health and saves your money! Get this state-of-the-art technology for clean, fresh swimming pool water without chorine or other chemicals. Hydroxypure sanitisation is based on the Advance Oxidation Process, which combines Perox, a chlorine free sanitiser (H2O2) and hybrid ozone (O3). The Hydroxypure system continually sanitises your swimming pool by testing the water and automatically maintaining optimum levels of residual sanitiser. Waterco's head office is situated in Sydney, Australia with international offices, manufacturing plants and warehouses located in Australia, New Zealand, Malaysia, Indonesia, Singapore, China, the US, Canada, France and the UK.